DLA provides external services using MySQL protocol. You need to connect to the DLA service through JDBC. DLA's internal accounts and passwords are self-created (unlike RAM). When you activate the DLA service, an account and password are sent to you by internal message, email, SMS, or another method. DLA is a database. When it establishes a connection on the client (authentication required) or accesses libraries, tables, and fields (authorization required), it makes many cross-services requests to the RAM system. This puts a lot of pressure on the RAM system and can cause the DLA service to lag. DLA needs to be compatible with the MySQL permissions model, but it is difficult to perfectly map domain objects, such as libraries, tables, and fields, to the RAM system. In addition, the permissions for resource objects in the RAM system can be rough or detailed, and tend to be permissions for data lifecycle management, rather than the detailed permissions at the level of data. 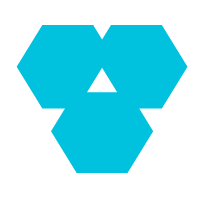 All common logic that users are accustomed to, such as Grant, Revoke, and Show grants, is mapped directly to libraries, tables, and fields in traditional databases. 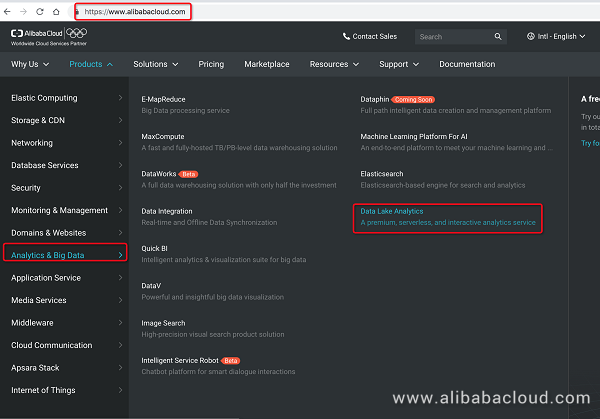 The designs of other database products on Alibaba Cloud and other cloud service platforms in the industry must take the same thing into account. Root/Service accounts: When the RAM master account activates the DLA service in a region, the system automatically creates the first DLA account and notifies the RAM master account by internal message, SMS, and email. There is only one root account, which cannot be deleted. User accounts/sub-accounts: The RAM master account (not the root account) creates DLA user accounts in the console. Cloud account users can create and delete user accounts and change their passwords. Product accounts: When another cloud product (such as DBS) interacts with DLA, a user authorizes the cloud product in the RAM system. DLA automatically generates an account and dispatches it to the cloud product. Root accounts and user accounts: All associated RAM UIDs correspond to cloud accounts. Therefore, root accounts and user accounts can access all the resources in the cloud account (within their authorized scopes). Click 'Activate Service', and have your DLA account automatically created. 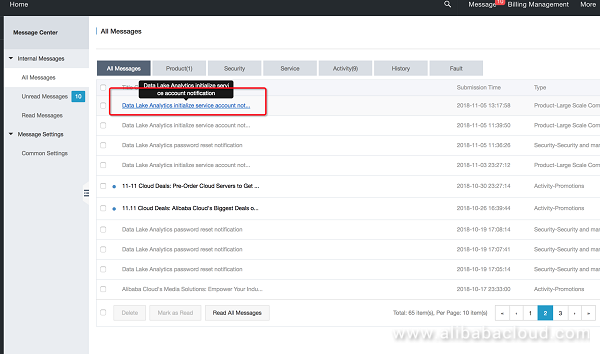 Once the service is successfully activated in a given region, you can find your credentials in the Alibaba Cloud webmail. Configure a service access point. Default value 0.0.0.0/0 indicates that all clients are authorized to access. If you want to activate DLA service within a VPC, please click "Create VPC Network". Notice that this is your JDBC connectivity information (with hostname and port number), please secure the information, and be careful when sharing this with others. Connect to the DLA service and enter the service. ##Connect to the DLA service. You can find the account and password are in your inbox, and the service access point is on the service page. ##Enter the DLA service and start testing. You have now activated the service. Authentication and connection are successful. Click here to open the admin page where you can manage your accounts. The user's SQL is sent to DLA for authentication and then forwarded to the back-end data source layer for RAM and data source authentication. Then, the user data can be accessed. 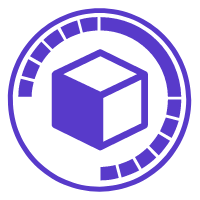 DLA implements authentication based on the scope of users' operation objects from large to small, that is, from the global level (global permissions) to the schema level, to the table level, and finally to the column level (currently not supported). Authentication is successful only if it is successfully at all layers. Only the DLA root account can grant permissions to other non-root accounts. Non-root accounts cannot grant permissions to other accounts. Authorization and permission revocation are not supported across cloud accounts. ALL or ALL PRIVILEGES indicates that all permissions are granted or revoked, regardless of other permissions. Note that Grant option is not included in ALL and must be explicitly granted or revoked. Currently, other types of authorization are not supported. SELECT is the query authorization. SHOW is the show and use command authorization (different from MySQL logic). ALTER is the alter and other change-type DDL authorization. CREATE is the creation-type DDL authorization. DROP is the drop-type DDL authorization. INSERT is the insert-type DML authorization. UPDATE is the update-type DML authorization. DELETE is the delete-type DML authorization. GRANT OPTION is the DCL authorization (related to grant and revoke). GRANT OPTION can be specified in Privilege, or authorized through the "with grant option" syntax fragment. 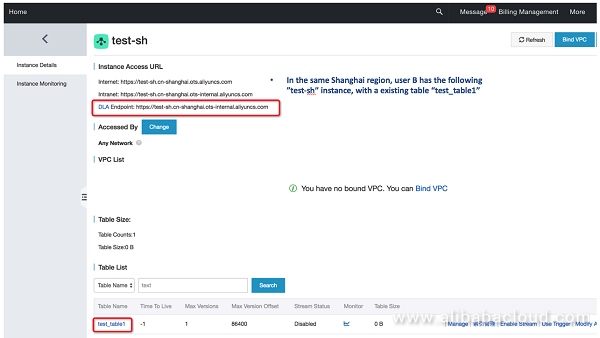 * indicates that the current connection uses xxDB and grants library-level permissions to xxDB.
. indicates global-level permissions are granted to all tables in all libraries. xxDb. * indicates that library-level permissions are granted to xxDB. xxDb.yyTable indicates that table-level permissions are granted to xxTable in xxDB. yyTable indicates that the current connection uses xxDB. Table-level permissions are granted to xxTable in xxDB. Currently, field-level authorization is not supported. Even if the IP address and host information are written, they will not be used for whitelist authentication. Only the root user under the same cloud account can show grants to others. Show Grants cannot be performed across different UIDs. You must have SHOW and GRANT permissions to perform Show Grants, or you must execute ; for yourself. SHOW GRANTS FOR 'jeffrey'@'localhost': IP addresses are not currently supported. Because sub-accounts in DLA do not map to those in RAM, resource permissions in RAM do not directly map to library and table permissions in DLA. In DLA, You need to map resources and isolate permissions in a specially defined manner. Currently, authorization units in DLA are schema-level. If the root account grants permissions for a library to a user account, the user account can access all the tables in this library. This means that all the resources mapped from the library to RAM can be accessed. Such access is not controlled by RAM sub-account permissions. All the preceding processes assume that system role authorization has been completed for the cloud account. 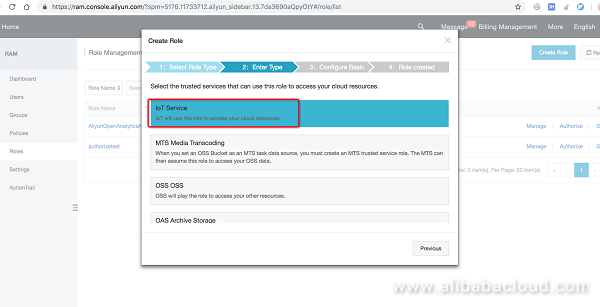 The next section describes how to implement system role authorization, which allows DLA to access your data in other cloud products. DLA supports cross-account access, which allows user A on DLA to access user B's OSS data for analysis and computing. Go to the OTS home page https://ots.console.aliyun.com/index and create a DLA library and table used for analysis. After you create the library, create a table. Insert a row of data. Once the button (Table Store, OSS, etc.) is greyed out, the corresponding data source has been successfully authorized; blue, on the other hand, indicates that authorization is needed. 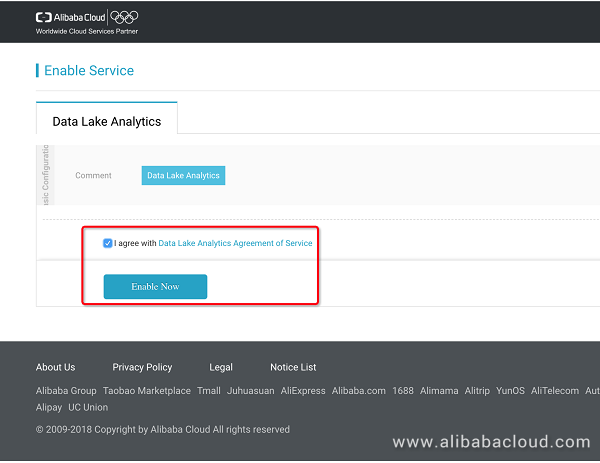 Please click the button, to authorize DLA to access Table Store as a data source. This option allows DLA to access data stored Table Store with proper permissions. You can enter the RAM system for more detailed authorization information. Create a Library and Table in DLA and Associate Them with the TableStore Library and Table. Data association and data query are complete. All the preceding operations are performed using the root account. The root account can manage all cloud resources under the cloud account. The DLA user account can access its corresponding libraries and tables only after being grated permissions by the root account. Switch to the user account connection page and check that the accounts have been granted permissions and can read the data. The sub-accounts have been granted access permissions. Typically, most users use DLA in the following way: Cloud account A uses DLA to access the data of cloud account A in other cloud products. As described previously, a user can access the data source, create a library and table, and query data as long as the user chooses a specific data source (such as TableStore) in the DLA console and implements system role authorization for DLA. 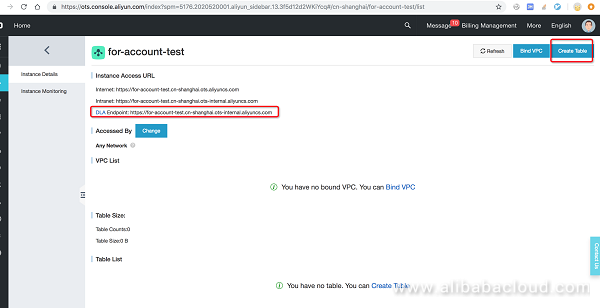 Assume that the test account corresponds to cloud account A. 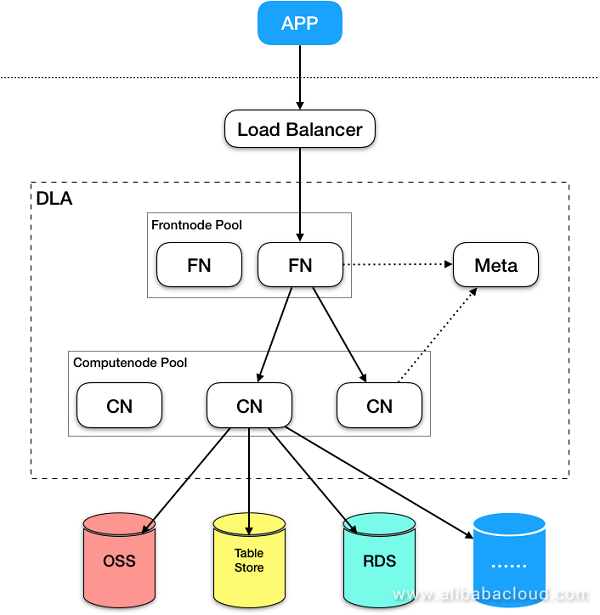 In the following, we use TableStore and cloud account B (another real test cloud account for DLA) as an example to describe how account B grants cross-account permissions to allow account A to access its TableStore instance and how account A queries this data in DLA. 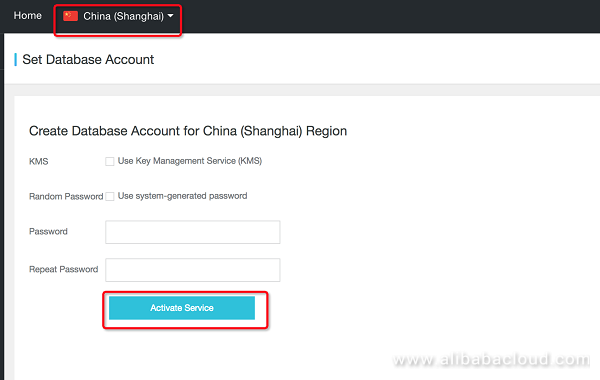 First, use account B to create a cross-account authorization role in "Access control (https://ram.console.aliyun.com )". Open the RAM management page, click "roles", create a new role, authorize cloud account A to access account B's data via DLA. You can choose from a list of pre-generated templates, follow the template to create a role with cross-account service access permissions. Notice that this is just to start from a pre-created template, doesn't have to serve IoT purposes. Once this is successfully configured, it should look like the follow figure. You should note that the common library creation process does not require the cross_account_accessing_arn parameter. A cloud account grants DLA cloud service access permissions for itself by default. When a library creation process uses the cross_account_accessing_arn parameter, this enables the cross-account service and the DLA library and its tables have cross-account access permissions. You have now completed the whole cross-account access process. 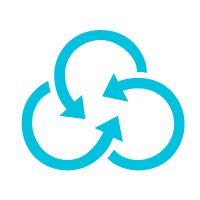 To connect to other cloud services, such as OSS, repeat the preceding process.